Bella Forcella: Where Does Your Scarf Come From?? Where Does Your Scarf Come From?? Sooo, I have about a million scarves (give or take a couple of hundred thousand...) - I just love the way that they can transform an outfit. A scarf can take my usual jeans & t-shirt combo from "hanging round the house" to "lunch with the girls" in less than a minute. But recently I bought a very special scarf. 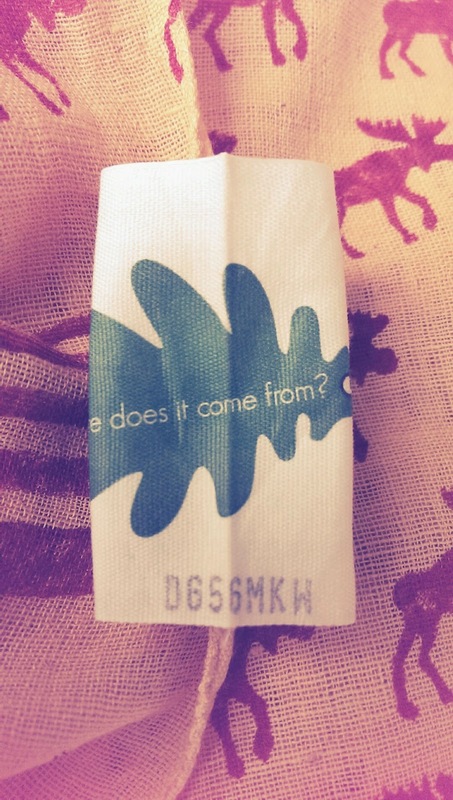 My friend Jo launched the ethical and environmentally friendly clothing & accessories brand "Where Does It Come From?" last year. Where Does It Come From (WDICF) is the antithesis of mass produced throwaway fashion - each item is made in India by farmers, spinners, weavers, designers and printers who are paid a fair wage for their work under good working conditions (WDICF are Fairtrade accredited). And here's the best part - all the elements of your garment's lifecycle are traceable via a unique code on the label and you even get to "meet" the people who made it! 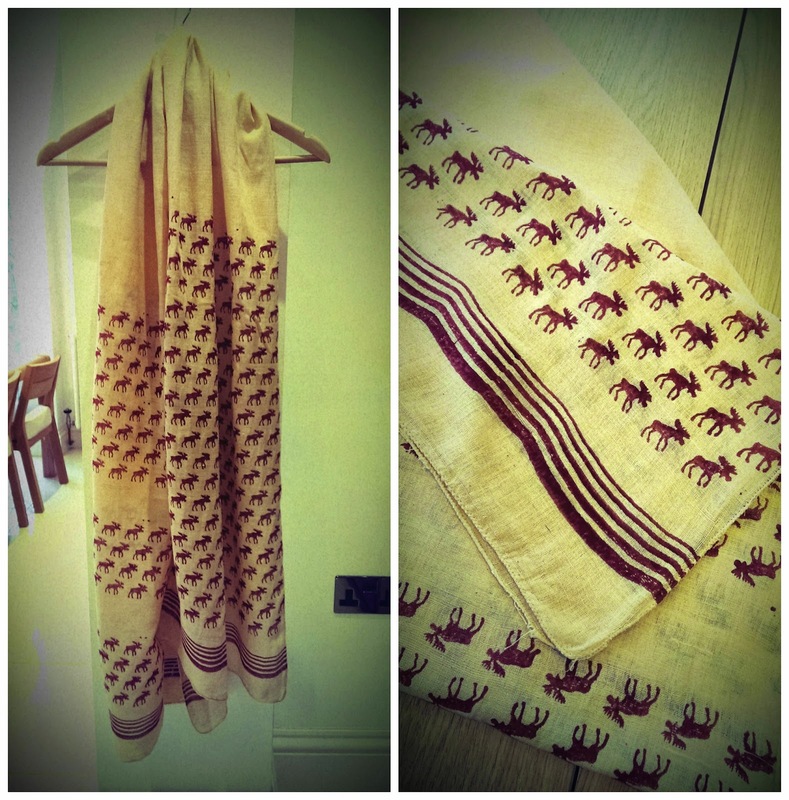 The cotton for my adorable Moose Khadi Scarf was grown by Pithabhai, a farmer in Saurashtra on the coast of Gujurat state in western India. It was then spun by 20 year old Jyoti. Weaver Geeta spent two months learning how to use a paddle loom after being selected by her co-op to train alongside six other girls. 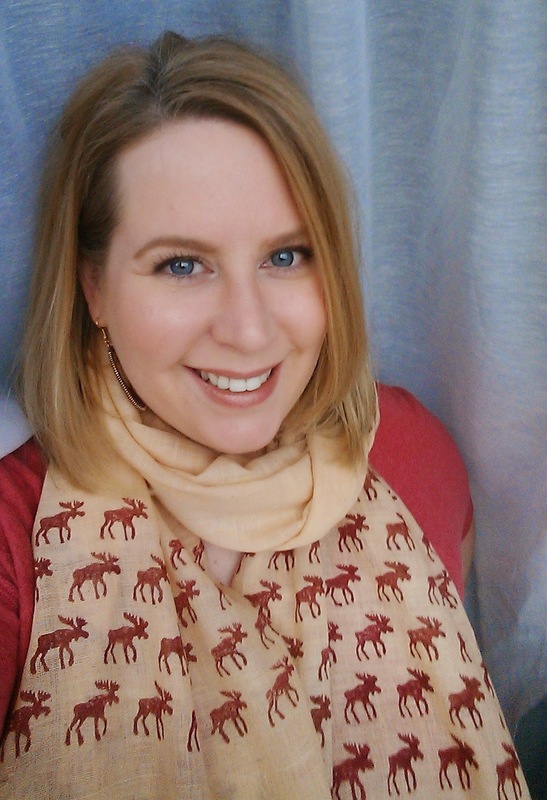 Moral Fibre Fabrics are Where Does It Come From's production partner in Gujarat and they designed the funky moose print, as well as a scarf with the WDICF oak leaf logo as the design. Finally, my scarf was hand printed using non-toxic colours by Neelam, a print designer trained at the prestigious National Institute of Design, who runs a small hand block printing studio. 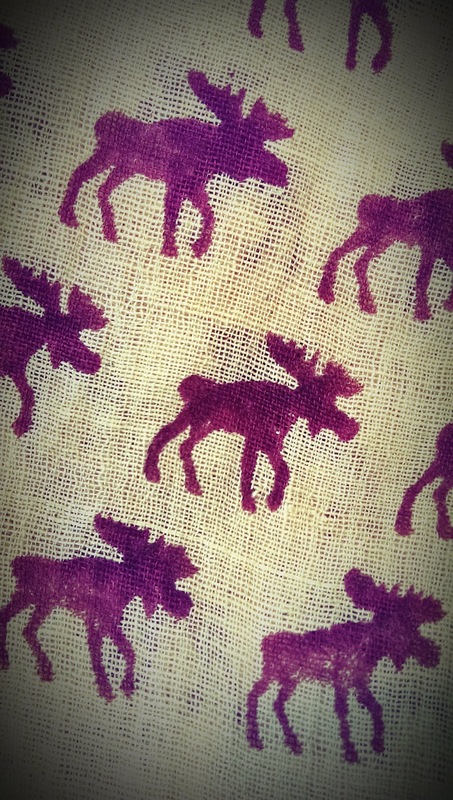 I originally bought my moose scarf for Christmas,however I think I'll be wearing it all year round! The oak leaf design is lovely and spring-like and it's perfect for a mother's day gift. The scarves cost £20 each and you can buy them from the Where Does it Come From?website and you can hang out with the WDICF gang on Twitter and Facebook (I often do - they're a friendly bunch!!). Let me know if you decide to treat yourself or your mum to a scarf and don't forget to share your #Scarfie on social media! Disclaimer: I was not gifted my scarf and I have not been paid for this blog post. I just want to introduce you to this amazing, forward thinking company and, of course, show off my scarf!! Labels: Fashion, India, Mother's Day, Scarf, Where Does It Come From?